Shopping for Dungeons & Dragons Construction Toys? Collect the world and Master the Battle with the KRE-O Dungeons & Dragons sets! With the 115 pieces in this Wallbreaker Javelin set, you can build a powerful cannon that launches 2 powerful missiles at the hordes of the Orcs. 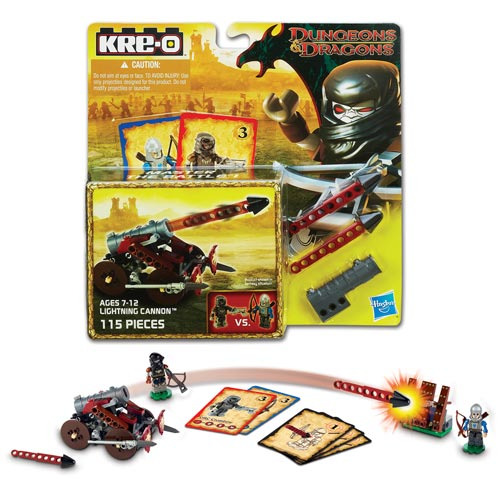 Pit your Orc Crossbowman Kreon against your Knight Archer Kreon in single combat! You''ll build one magical adventure after another with the Wallbreaker Javelin set! Set includes 115 pieces and instructions. Ages 7-12.